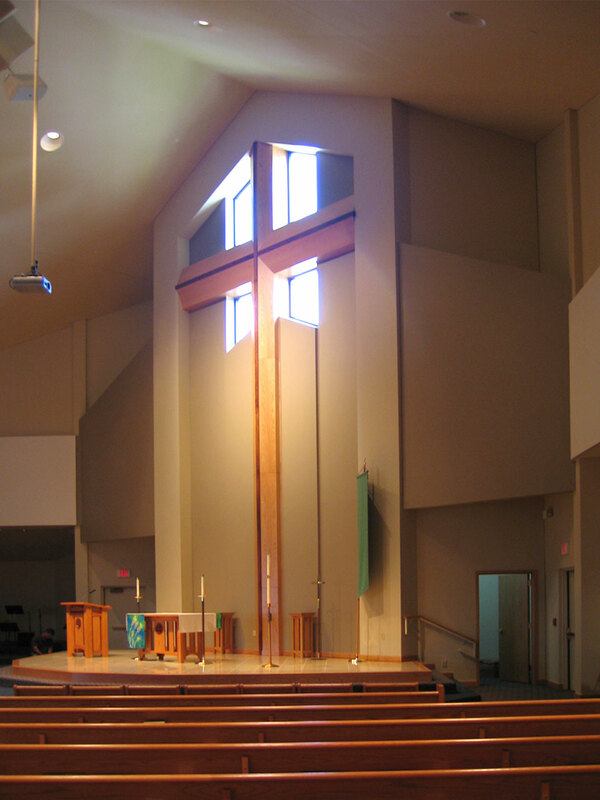 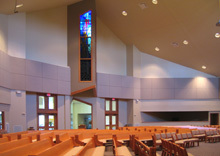 The firm has completed three major projects with this client including their first phase worship facility, a subsequent education and fellowship addition, and finally their ultimate worship facility including administrative offices, classrooms and meeting spaces for theatre, drama, computer exploration and art. 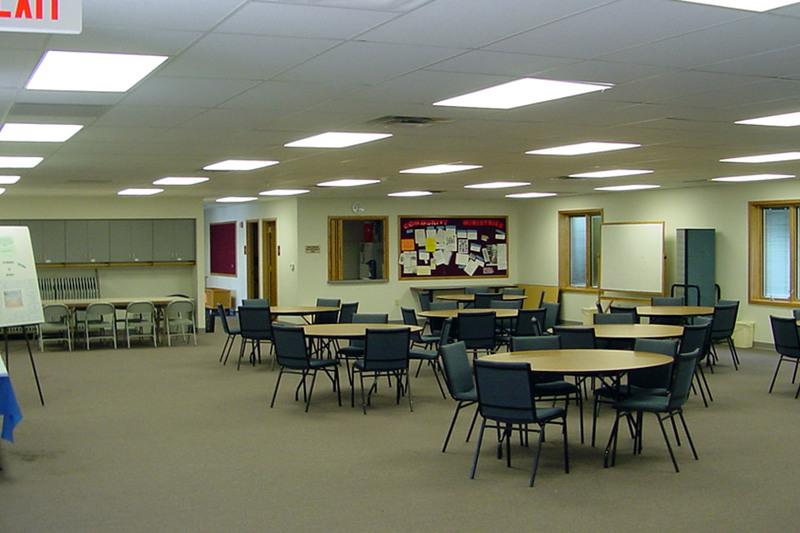 The facility includes a large kitchen, dining hall and elevator to allow circulation to several floor levels. 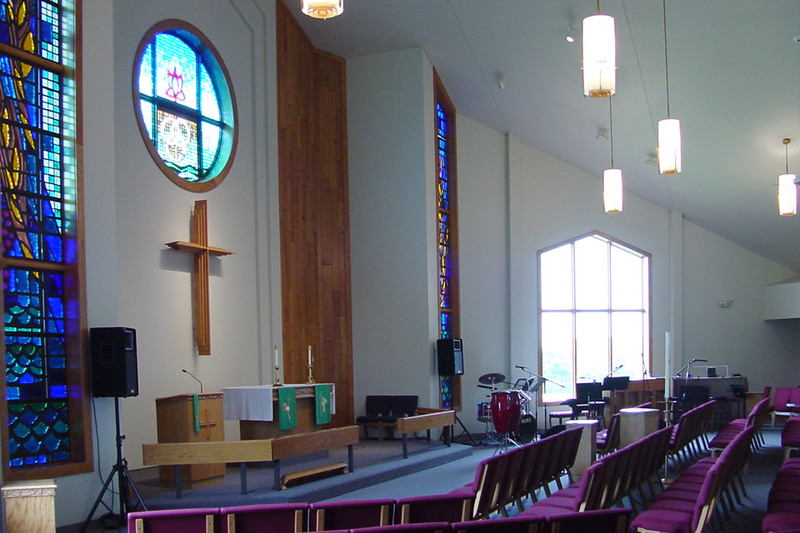 The entire development follows our original master plan. 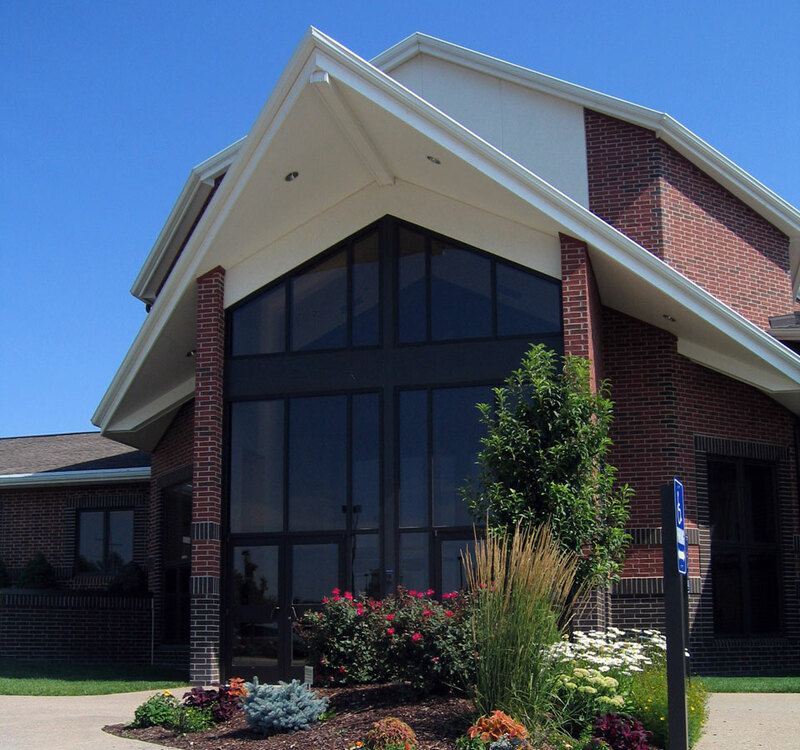 Project size: Approximately 38,000 SF. 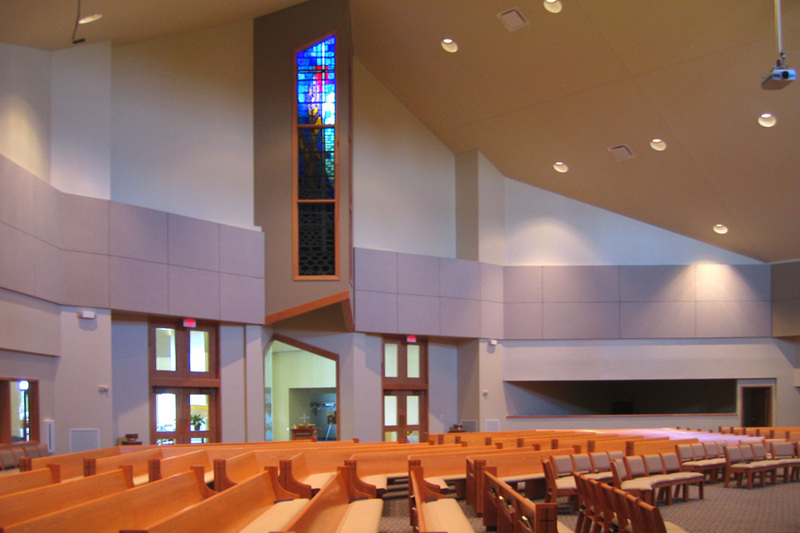 Highlights: The current worship space includes relocation of custom stained glass panels taken from the original first phase worship facility. 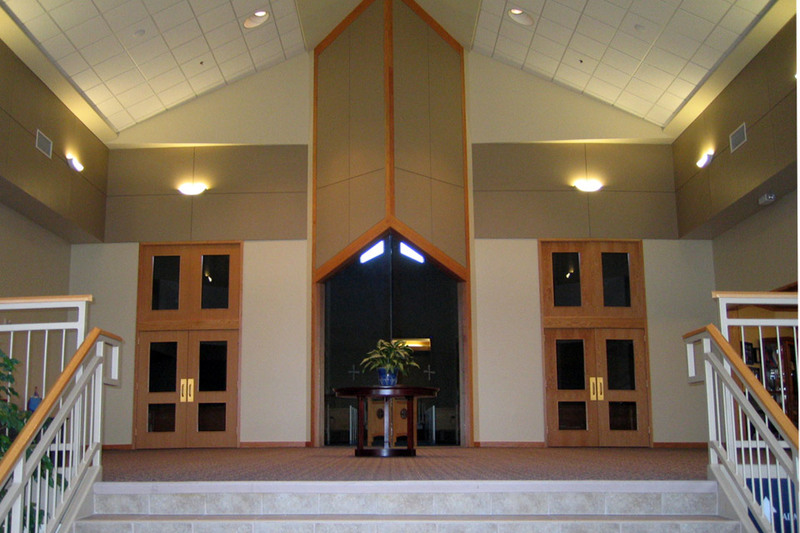 They are positioned at the rear of the worship space to filter direct sunlight.